Classic Rory Storm Band Concert Posters and Memorabilia! Buy Online Now! Vocalist Caldwell began performing as a member of the Texan Skiffle Group, before forming one of the city’s first beat groups with Johnny Byrne alias Johnny Guitar (b. 4 December 1939, d. 18 August 1999), Lou Walters, Ty Brian and Ritchie Starkey, later known as Ringo Starr. The quintet employed several names – the Raving Texans, Al Caldwell And His Jazzmen – before becoming Rory Storm And The Hurricanes in 1960, with Caldwell assuming the lead persona. 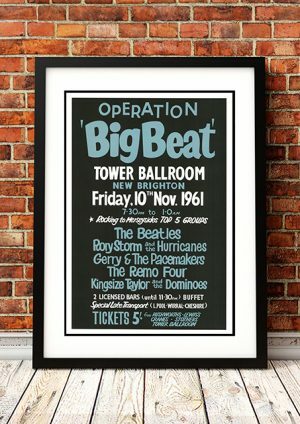 They enjoyed a fervent local popularity, in part because of the singer’s showmanship, and were placed third behind the Beatles and Gerry And The Pacemakers in a poll undertaken by the Mersey Beat newspaper in 1962. Starr’s switch to the Beatles in August that year precipitated a recurrent drumming problem, and a stand-in was required on the Hurricanes’ contributions to This Is Merseybeat. Spirited but unoriginal, the three tracks they completed revealed a barely adequate vocalist, while a later version of ‘America’, produced by Brian Epstein, failed to capture an in-concert fire. 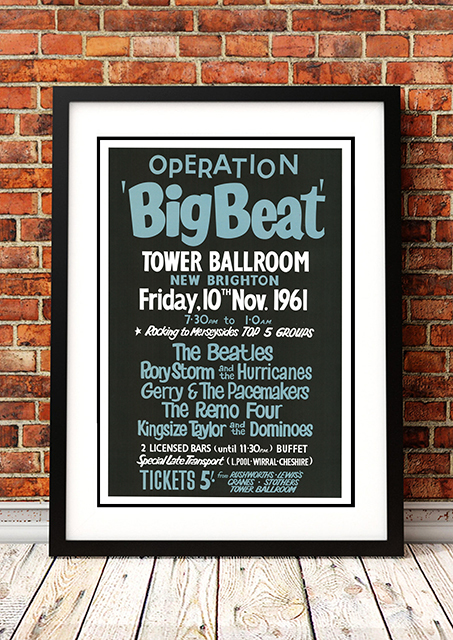 The premature death of Ty Brian and the departure of Lou Walters ended any lingering potential, and the Hurricanes were disbanded in 1966 following their appearance at the last night of the famed Cavern club. Rory then pursued a career as a disc jockey but, increasingly prone to ill-heath, he died following an accidental overdose of alcohol and medication. His grief-stricken mother committed suicide on discovering his body. Byrne became a technician in the Merseyside ambulance service, although he later formed the New Hurricanes to perform at commemorative events. He died in 1999 from motor neurone disease. 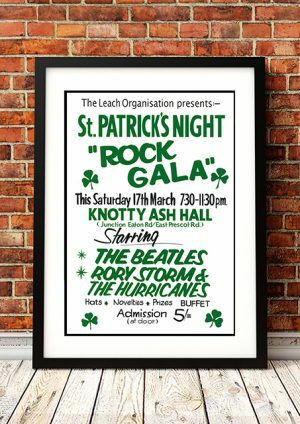 We stock some awesome Rory Storm Band Concert Posters.